Member artists, weaver Kathy Litchfield and gourd artist Joan Levy have collaborated on an artistic endeavor! Kathy’s brightly colored 100% cotton napkins (in intriguing 8-harness twill patterns) are accompanying Joan’s beautifully hand carved and painted gourd napkin rings. Find them in the front room of the gallery – perhaps the perfect gift for the special person in your life! 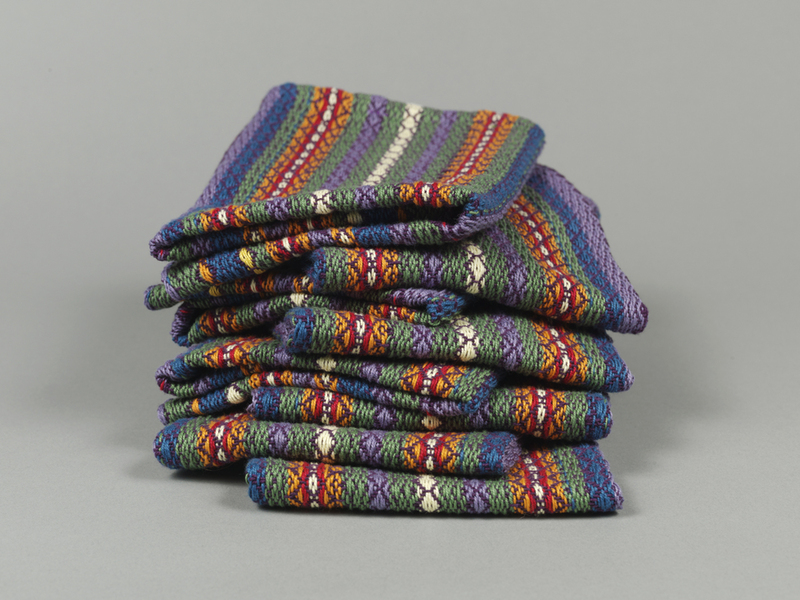 Firecrow Handwovens new napkins by weaver Kathy Litchfield. 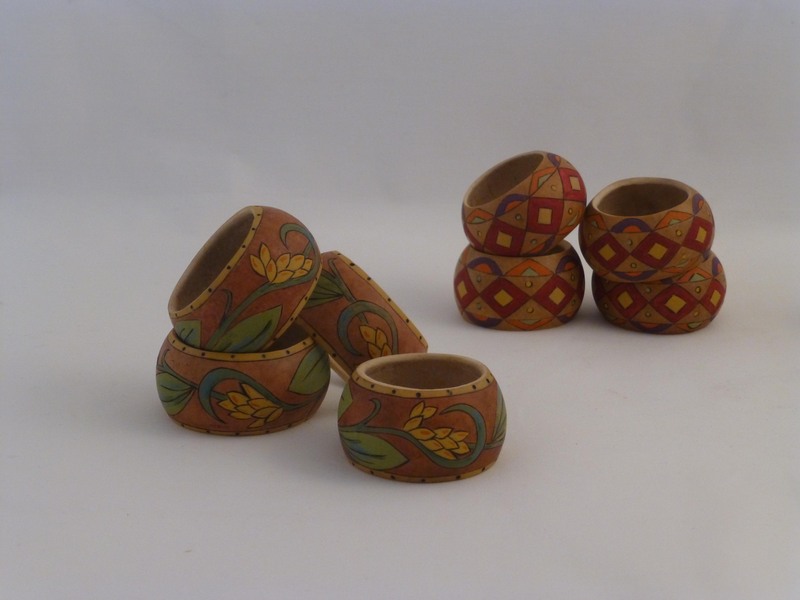 Joan Levy’s hand carved and hand painted napkin rings, made out of gourds.